The Bridge is about understanding God’s grace, experiencing His love and sharing that with others. Connecting to God – Connecting to People. Living our life as worship to God is the foundation in “Connecting to God”. When we are connected to Him, we’re empowered to live out transformed lives, which leads us to connect to people. The result is encouraging one another toward godly life-change. 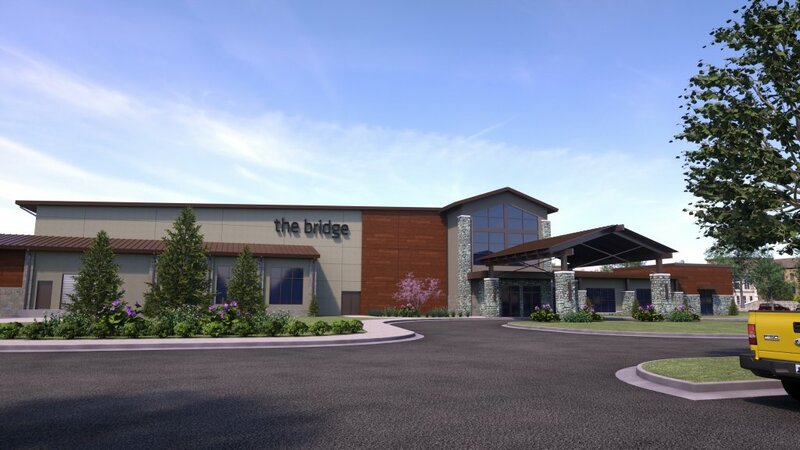 The Bridge began in 2009, in Bixby, as a response to God’s call to start a church for the scattered (Neh. 1:9b) – for those who have been wounded or are disillusioned by church life. What started out with a handful of people gathering to pray, quickly turned into a larger congregation needing a larger place. We remodeled 7,000 sq. ft. of our current space, but after a year, more space was needed, and we were able to expand another 14,000 sq. ft. We’re about connecting, and everything we do revolves around that, which is why we believe so strongly in relationship with and ministry to our local community. Impacting the Bixby/South Tulsa area in a way greater than we ever imagined, the annual patriotic Bixby Freedom Celebration became our gift to the city, which had never had a large fireworks display before. We’ve seen God work through our relationship with our community in a number of ways to make significant life-change in people. (Neh 8:10b) What a wonderful honor it is to be part of the journey! THE TRINITY There is one God, who exists in three Persons – the Father, the Son, and the Holy Spirit. He is loving, holy, and just. JESUS CHRIST Both God and Man, conceived by the Holy Spirit, and born of the Virgin Mary, He led a sinless life, took all our sins upon Himself, died, and rose again. Today, he is seated at the right hand of the Father as our High Priest and Mediator. HOLY SPIRIT He is our comforter and is sent to convince us of our righteousness. He guides us in all areas of our lives, blesses us with spiritual gifts, and empowers us to operate by His Spirit. THE BIBLE God’s inspired Word. It is accurate and complete and guides us in all manner of living. SALVATION is the gift of God to man. Through faith in Jesus Christ, the grace of God is manifested and produces works of righteousness that are pleasing to God. SEPARATION & RECONCILIATION Sin has separated us all from God, and we are reconciled to God only through Jesus Christ. BAPTISM Water baptism is an outward act that demonstrates a believer’s identification with the death, burial, and resurrection of Jesus Christ. COMMUNION Holy Communion is a remembrance of Jesus’ death and the work accomplished at the Cross. BLESSING God wants to transform, heal, and prosper us, so we can live blessed and victorious lives that will impact and help others. EVANGELISM We are called to preach the gospel to all nations. SECOND COMING Our Lord Jesus Christ is coming back again, just as He promised.